2017-2018: SIMULAGRIT: The use of computer-based simulation to model, simulate and optimise Agri-Food Supply Chains resilience once facing uncertainties in international regulations (BBSRC-N8). Application successful. RUC-APS Partners: ULIV (lead), FEDCOVA (€11k approx). 2017-2021: Programme of Formation of University Professors of the Spanish Ministry of Education, Culture, and Sport (FPU15/03595 – SPAIN). Application Successful. RUC-APS Partners: UPV (lead). 2017-2020: Development of an integrated maturity model for agility, resilience and gender perspective in supply chains (MoMARGE). Application to the agricultural sector. Ref. GV/2017/025, funded by the Generalitat Valenciana. Llanos Cuenca (3 years). Application Successful. RUC-APS Partners: UPV (lead). 2017-2020: Development of a decision support tool for the management and improvement of the sustainability in supply chains. Application Successful. RUC-APS Partners: UPV (lead). 2018 – 2020: Decision support tools in agriculture supply chains. Primeros proyectos de investigación (UPV – SPAIN). Application Successful. 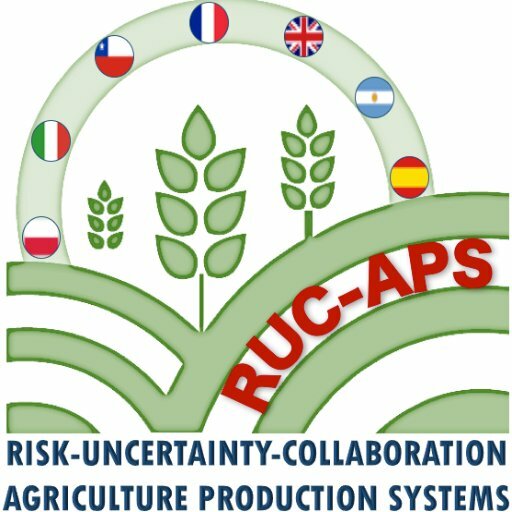 RUC-APS Partners: UPV (lead).